GOP Incumbent Issued Early Warning On NC Fraud - Joe.My.God. 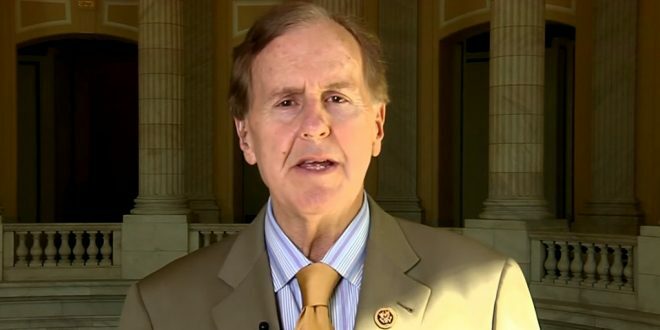 When GOP Rep. Robert Pittenger lost his primary by a narrow margin in May, he suspected something was amiss. The congressman turned to a group of friends and family who had gathered with him on election night at a steakhouse near Charlotte and blamed the “ballot stuffers in Bladen,” according to three people at the gathering. GOP officials did little to scrutinize the results, instead turning their attention to Harris’s general-election campaign against a well-funded Democratic opponent, the people said. Their accounts provide the first indication that state and national Republican officials received early warnings about voting irregularities. Pittenger first appeared on JMG in September 2016 when he declared that protesters reacting to police brutality “hate white people because white people are successful and they’re not.” He later apologized.